The legal system can be difficult to understand and to negotiate on your own. It's for that reason that hiring a personal injury attorney is so crucial to making sure that justice is served. With expert legal counsel on your side, you will be able to face what's ahead with confidence and sureness. It's important that you seek legal action as soon as possible, however. A statute of limitations is in place, and we'd like to look at these matters in some detail right now. A statute of limitations refers to set limit of time during which a legal claim can be filed. A legal claim cannot be filed after the statute of limitations has passed. The statute of limitations exists in order to ensure the best possible results for clients and the fairest results in the legal system. By placing these time limits, it helps maintain the integrity of evidence and ensures that witness testimony isn't affected by lapses or changes in memory. We urge victims or their loved ones to visit a personal injury law firm as soon as they are able so that their legal claim remains valid. Below are the statutes of limitations for civil actions. Even with these timeframes in the years-long ranges, be sure to speak with a personal injury and auto accident lawyer as soon as possible in order to initiate legal proceedings. In most cases, the timeframe will begin when the injury occurs or as soon as it is discovered. In terms of these timeframes, these can vary based on the circumstances of your case. 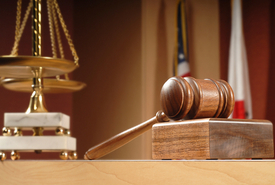 Our lawyers are here to provide expert counsel and legal assistance. We will seek justice on your behalf and help you receive damages for medical bills, financial losses, and emotional distress. If you would like to learn more about personal injury law and your many other options when it comes to legal proceedings, be sure to contact a Los Angeles personal injury lawyer today. By seeking expert legal counsel, you will be able to get the legal advice that you need to achieve just compensation and peace of mind.